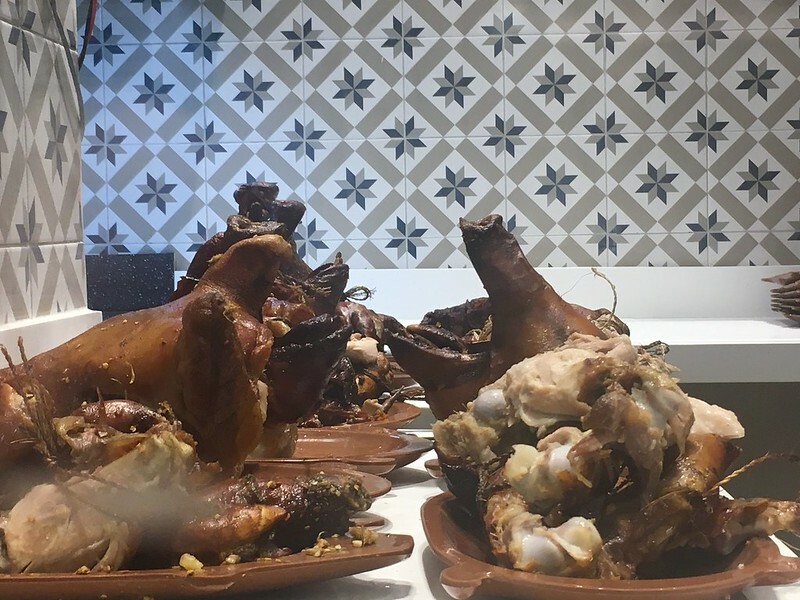 Lechon is firmly ingrained in Filipino celebrations; serving these delectable roasted pigs in a party adds to the specialness of the occasion. 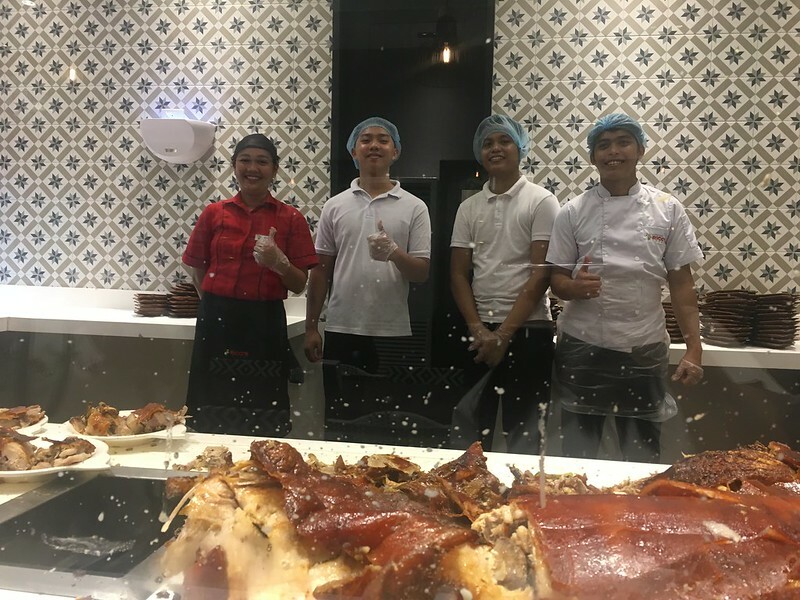 While there are notable lechon restaurants in Metro Manila, the lechon of the Queen City of the South holds a certain cachet. 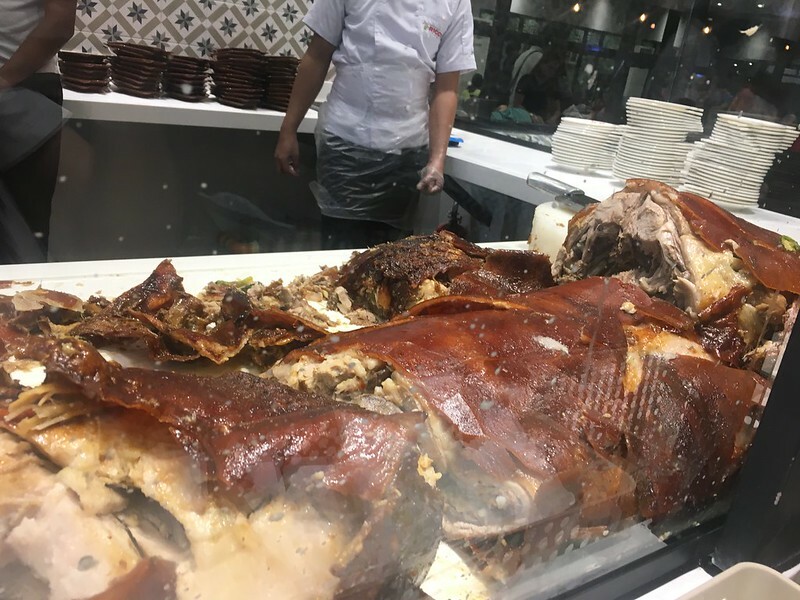 Known for its crispy golden red skin and tender flavorful meat, Cebu’s lechon is enjoyed without the need for a lechon sauce. 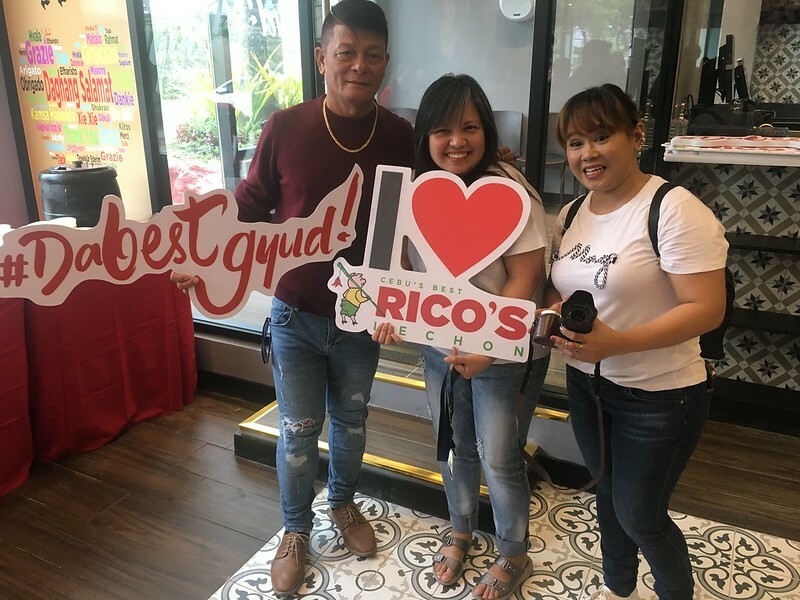 One of the most famous names in Cebu lechon is Rico’s Lechon. 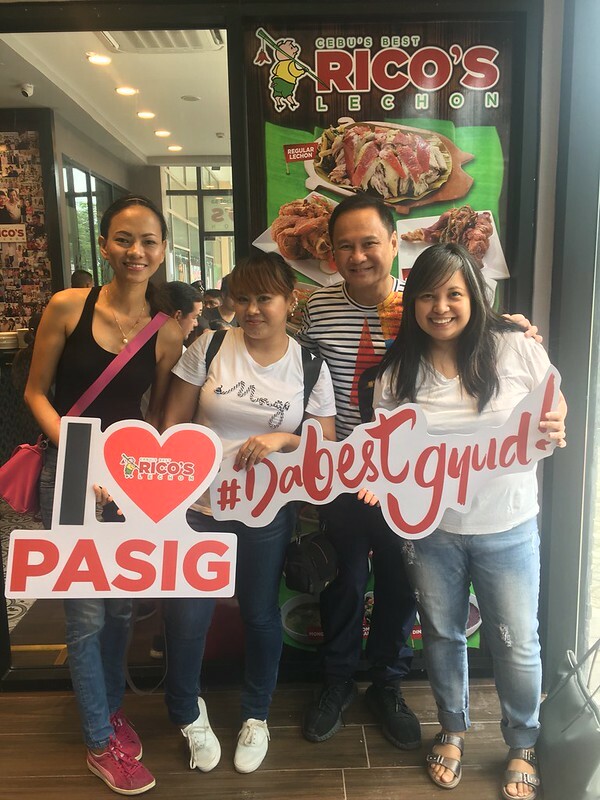 For over 20 years, it has set the bar for this specialty in taste and quality, and proudly claims that its lechon is #DaBestGyud! 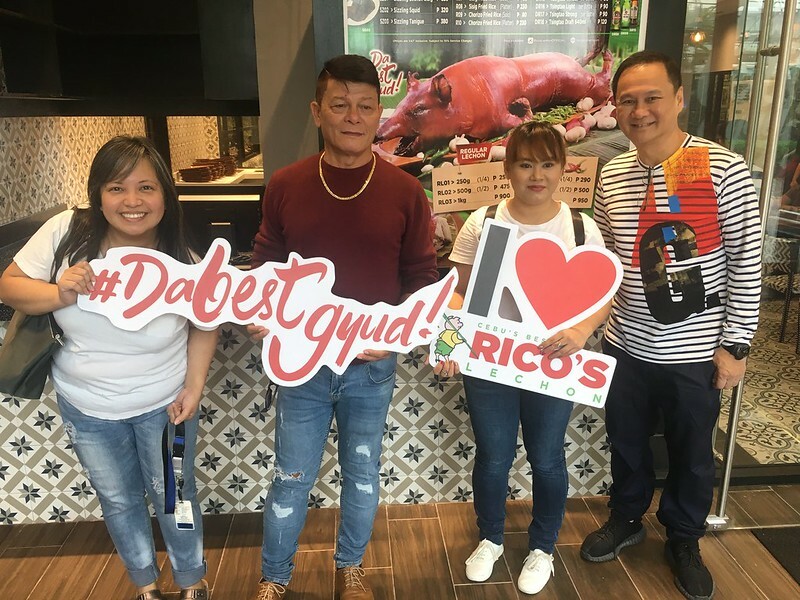 This is why I’m excited that Rico’s Lechon has crossed over from Cebu to Manila with the opening of branches in Glorietta, Makati, in Bonifacio Global City, Taguig and, on October 26, in Tiendesitas, Pasig City. 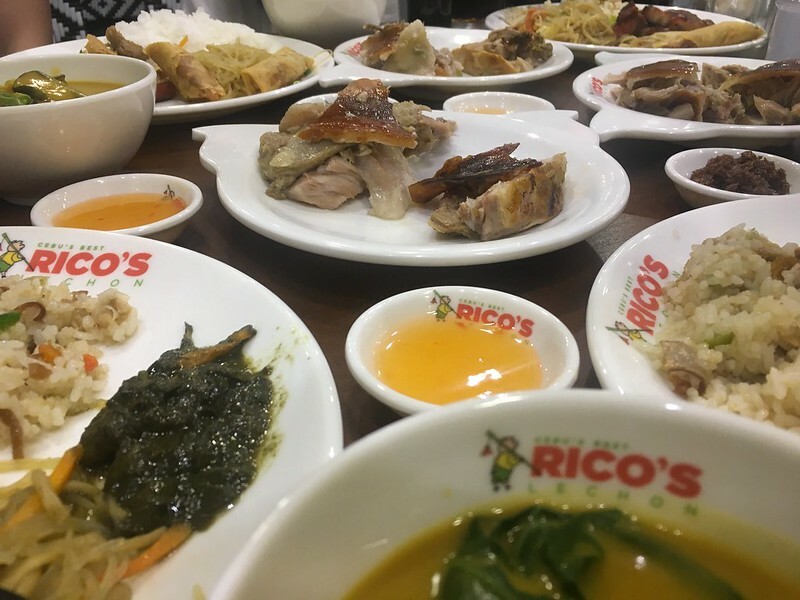 The biggest branch of Rico’s Lechon, it can seat 230 people in its sprawling dining area and 7 function rooms named after Cebu locations. 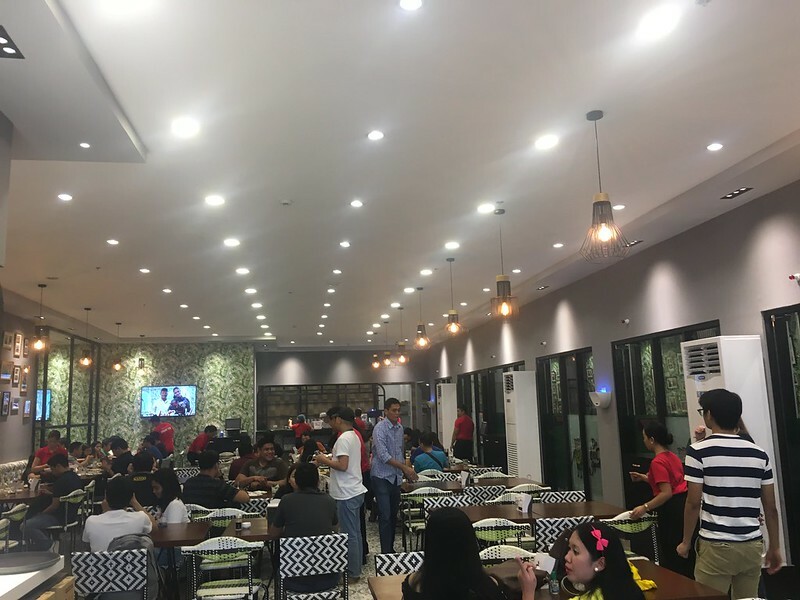 It also has a separate takeout section for patrons who want to enjoy their lechon at home. Anticipating the demand for its tasty lechon, its roasting pit can accommodate twenty roasted pigs. 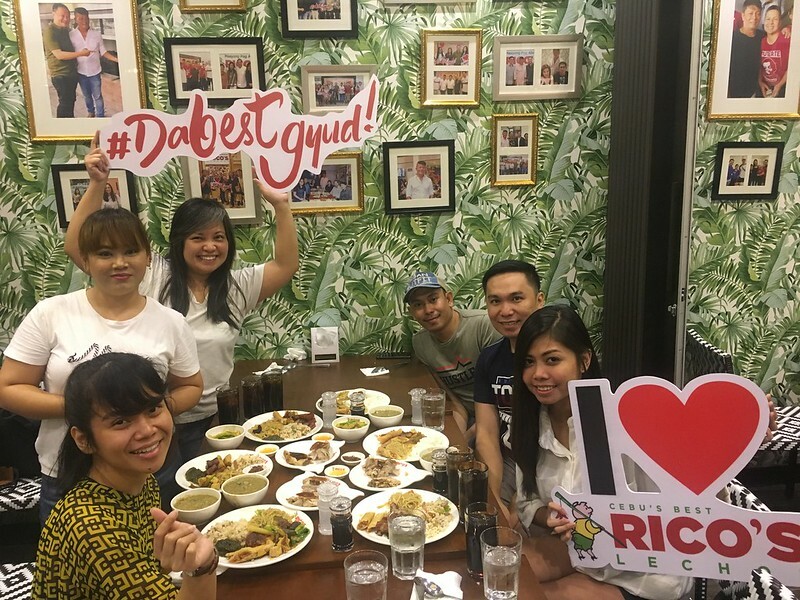 Last weekend, Rico’s Lechon held a pre-opening event for its Tiendesitas branch called Daghan Salamat, Manila, wherein they invited guests who registered online. I, together with a few foodie friends, were among those chosen to attend this exciting event. 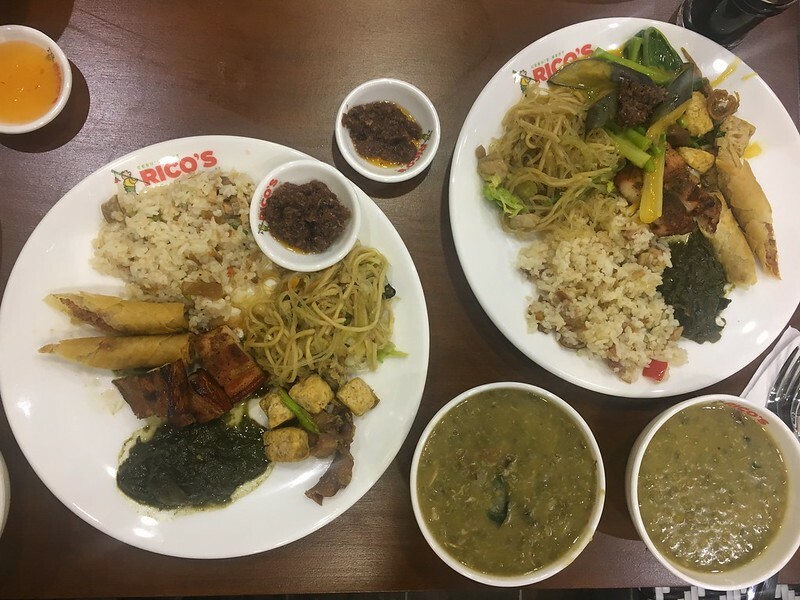 Here, we were treated to a generous buffet of various Rico’s Lechon offerings which include: Lechon Sisig Rice, Bam-I, Laing, Inihaw na Liempo, Tokwa’t Baboy, Lechon Shanghai, Ginisang Monggo, Beef Tripe Kare Kare and, for dessert, Maja Kalabasa and Yema Buchi. Of course the star of the show is the lechon which was served to us in two variants: regular and spicy. It crispy skin had a satisfying crackle when bitten into and the meat had a melt-in-your-mouth tenderness. Both variants are saltier that the lechon I’m used to so I recommend pairing these with plain rice instead of the Lechon Sisig Rice that I chose. 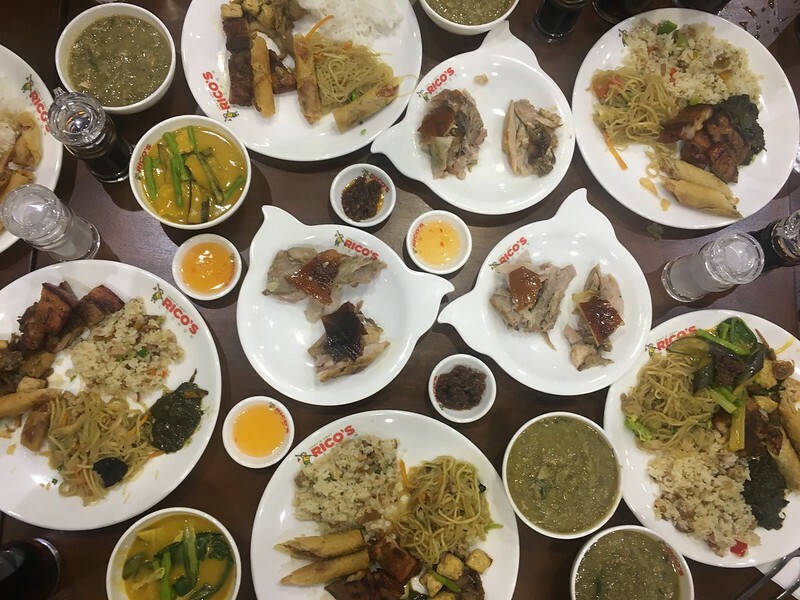 Other highlights of the meal include the kare kare which had a thick peanut sauce and tender beef tripe pieces, and the dessert which were novel variations of classic Pinoy favorites. 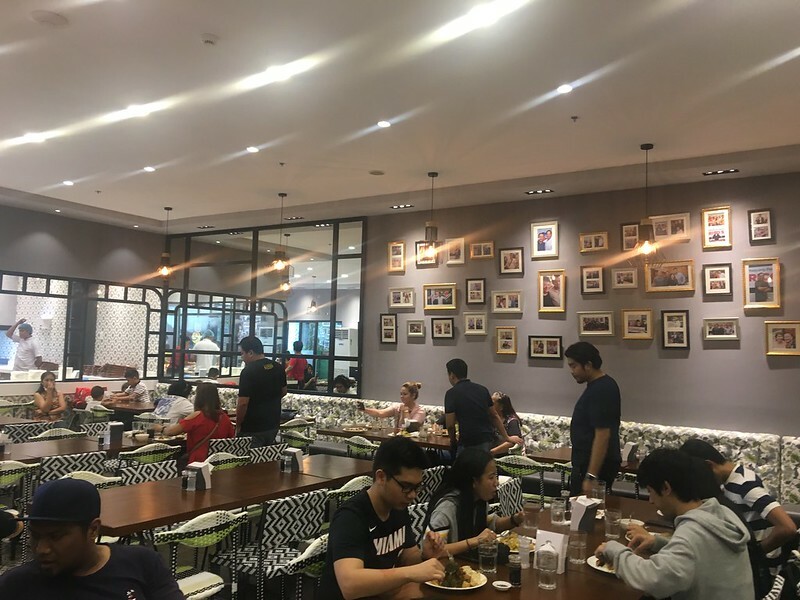 This Rico’s Lechon outlet is located at the First Level, Building B, Ortigas East, Tiendesitas, Pasig City. For inquries, call +63 917 8950000, +63 2 2349954, or +63 2 2349944. 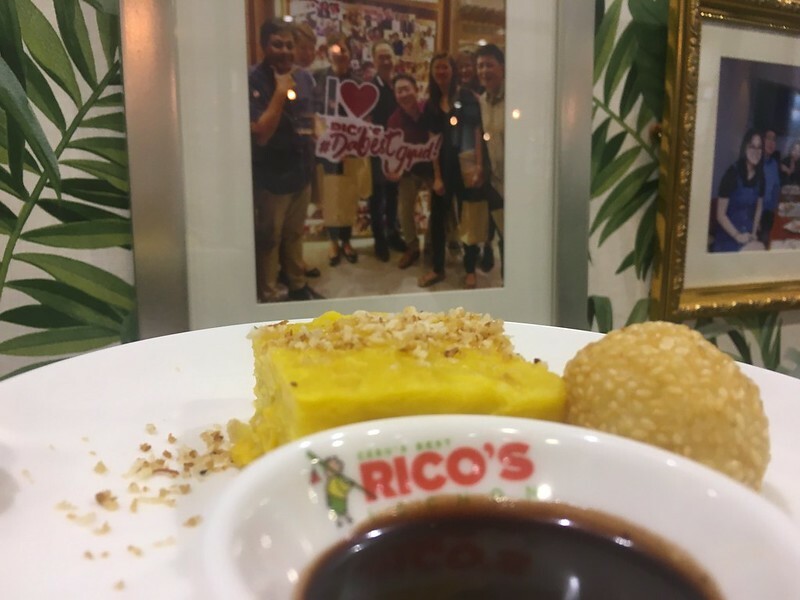 Disclaimer: The food mentioned here were served as part of the free buffet pre-opening treat of Rico’s Lechon and were not paid for by the attendees, including myself. Ohh it’s the Famous Rico’s Lechon! 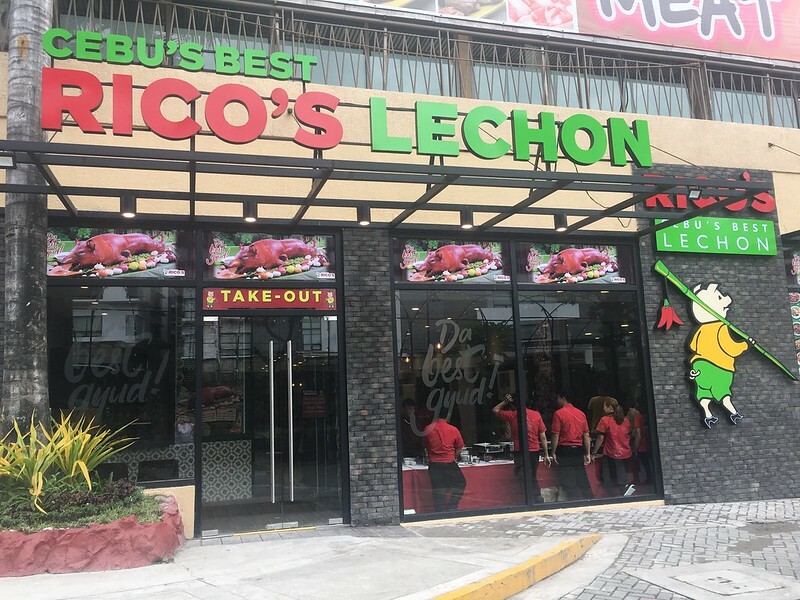 Not a fan of lechon but I have seen their sign in UP Town Center. weeeeeeee and lapit lang satin!!! HOMAYGAD LECHON SAY NO MORE!! !